Sciex is a leading global provider of mass spectrometry systems allowing for exceedingly sensitive and specific analytical techniques that can precisely determine the identities and quantities of compounds within a sample. With simple sample preparation protocols and incredible flexibility of assay design, mass spectrometry technology is leading the way in delivering the answers to most challenging scientific questions. 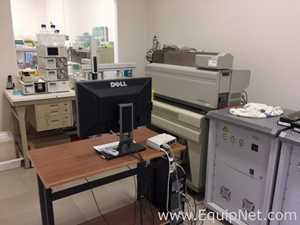 EquipNet is constantly receiving used Sciex equipment through our exclusive contracts with our clients. 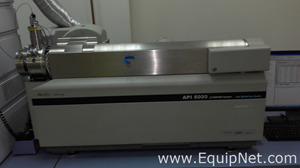 Our inventory of used Sciex equipment includes a number of AB Sciex Mass Spectrometers, a AB Sciex Analytical liquid sampler and more. If you do not see the used Sciex equipment you are looking for, call one of our representatives and we will find it for you. We can also source the right tooling and change parts that you need through our huge network of corporate clients from around the globe.